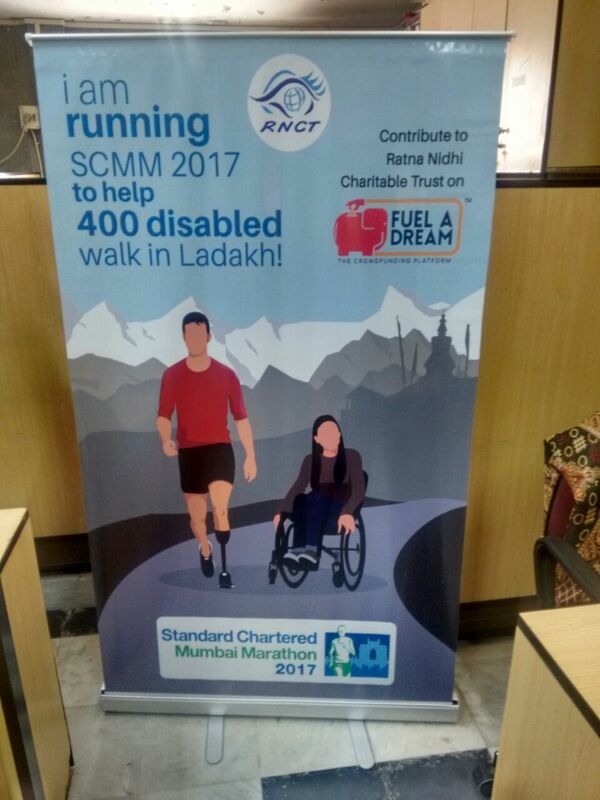 Ratna Nidhi Charitable Trust, Mumbai which has helped over 2.23 lakh DISABLED (and counting), is going 11,000 feet above sea level to bring the same magical transformation to the lives of 400 disabled people living in Ladakh. Armed with prosthetics like the Jaipur foot, calipers & equipment like wheelchairs, they are on a mission to give these underprivileged people the freedom to walk and move around again. This initiative has the ability to transform the lives of these underprivileged and disabled people to become contributing members of the society, instead of being perceived as a burden to their families. Old & young will be impacted. Make a difference by funding this campaign. Fitting of Jaipur foot prosthetic to amputees. It costs us INR 2,500 to provide these prosthetics/calipers to individuals. Under the presence of our technical team a screening camp will be organised prior the distribution camp. Then, our team will manufacture the Jaipur foot & Calipers at Ratna Nidhi&apos;s Mumbai center. Post which, the distribution camp will be organised in Leh & Ladakh in the month of June, 2017. Pic: Map showing the location of where the Mobility camp will be held. 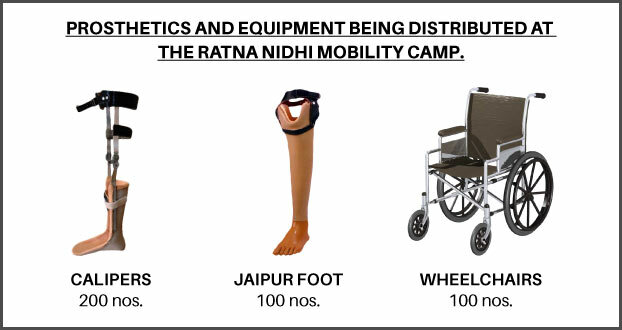 YOUR CONTRIBUTION OF INR 2,500 WILL HELP US PROVIDE PROSTHETICS OR A WHEELCHAIR TO 1 PERSON ATTENDING THE CAMP. This camp will target patients from the most isolated regions of Ladakh & will empower the disabled to walk in the mountains with pride and self-esteem. This camp will be conducted at an altitude of 11000 ft above sea level. Pic : This man is being fitted with a JAIPUR foot. We are a Mumbai based NGO & have made an impact across 10 states in India. We have also set up a permanent center to aid the disabled in Mumbai. Till date the we have been able to impact 2.23 L disabled people. 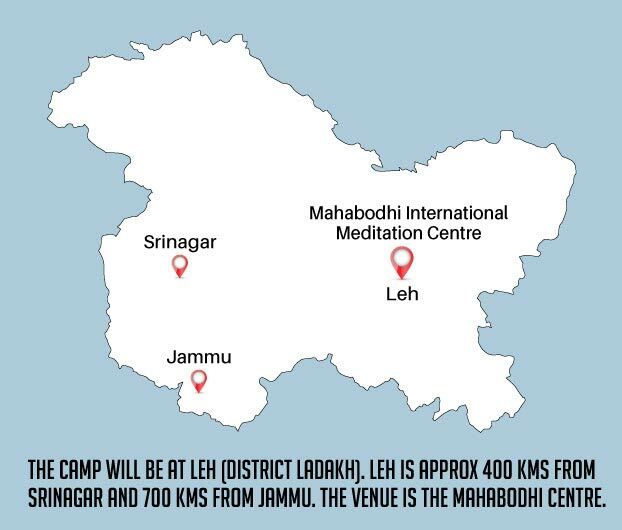 We have been one of the pioneers in organizing mobility camps having earlier worked in the Himalayan mountainous regions of Leh, Kargil, Srinagar, and Dharamsala, in the strategically located border areas of Rajouri and Poonch. Our largest camp was in Palitana, Gujarat in 2009-10 where we impacted 28549 of the poorest of the poor of Bhavnagar and adjoining districts. The camp was inaugurated by the then Chief minister of Gujarat, Narendra Modi and was graced by the presence of His Holiness the Dalai lama. Ratna Nidhi Charitable Trust’s mobility project helps people with disabilities. We do this by organising mobility camps where we distribute various aids such as Jaipur foot, Wheelchairs, Crutches, Hearing Aids, Calipers etc. These are done free of cost to those who are deserving & who come to the camps. 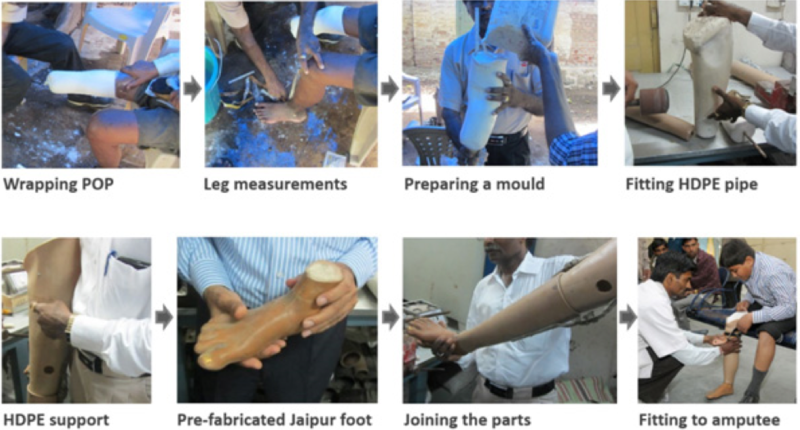 Image: Process of making a prosthetic leg. Muskan is a 11 years old girl who loves skipping. 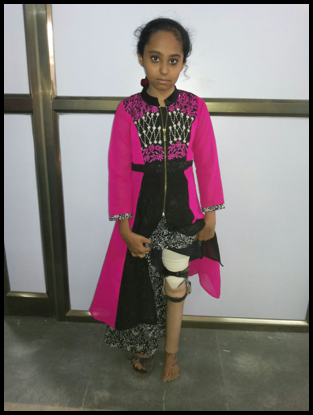 About 2 years back, Muskan met with an unfortunate accident and lost one of her legs. Ratna Nidhi stepped in & transformed her life with a Jaipur foot. She comes from a poor family. Her dad is an auto driver. Muskan also happens to be a class topper & continues to be a skipping expert. Thanks to Ratna Nidhi’s efforts , Muskan stands tall and lives a normal life. Pic: Muskan - the skipping expert . Shezaj was an orphan who was raised by his paternal uncle in the slums of Govandi, Mumbai. His uncle was a daily wage worker. Shezaj grew up taking up the same job as his uncle after finishing his primary education. One day he was carrying an Oxygen cylinder & that exploded, resulting in his losing his limbs. He got his initial treatment from a local hospital at Bhiwandi, and was then transferred to Sir J.J Hospital and later to All India Institute of Physical Medicines at Haji Ali. After he was introduced to our medical center, he was provided with a lighter and comfortable prosthetic. Image: Shezaj with his Jaipur Foot. Each prosthetic on an average costs us INR 2,500 to make. Through this crowdfunding campaign we are looking to raise INR 10L, which will help provide prosthetics and equipment to 400 individuals. 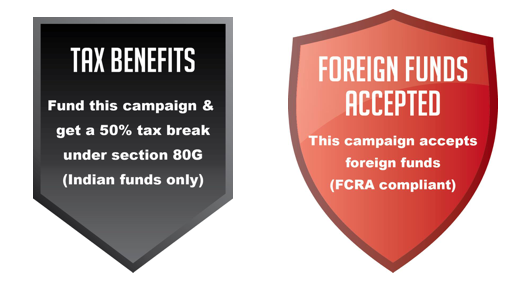 The INR 10L also includes the fees of this crowdfunding campaign. Ratna Nidhi Charitable Trust, is a registered charity that was established over 25 years ago by Mr Mahendra Mehta. It was set up in order to tackle the problems of poverty in Mumbai, especially amongst young children. From its humble origins as a family institution it has grown rapidly, and now its projects cover a wide range of activities like Health, Education and Mobility located in both India and other developing countries, including Afghanistan, Sudan, Kenya and Burundi. Ratna Nidhi Charitable Trust is committed to the welfare of people from the most underprivileged strata of society without distinction of caste, creed or color. Its emphasis is on assisting the children and youth who are the citizens of tomorrow and the disabled who need a support to help them join mainstream society. We were recently awarded the Google Impact Challenge Award for disability for breakthrough innovative ideas. Also, we have collaborated with IIT-B BETiC and Google.org, to develop an innovative process to leverage portable 3D scanning technology to design and fabricate prosthetic devices and footwear that are comfortable, yet affordable for people with disabilities. Ratna Nidhi Charitable Trust has been working for the underprivileged for past 25 years. Our core focus is to eradicate poverty through our different projects on health, education and mobility. 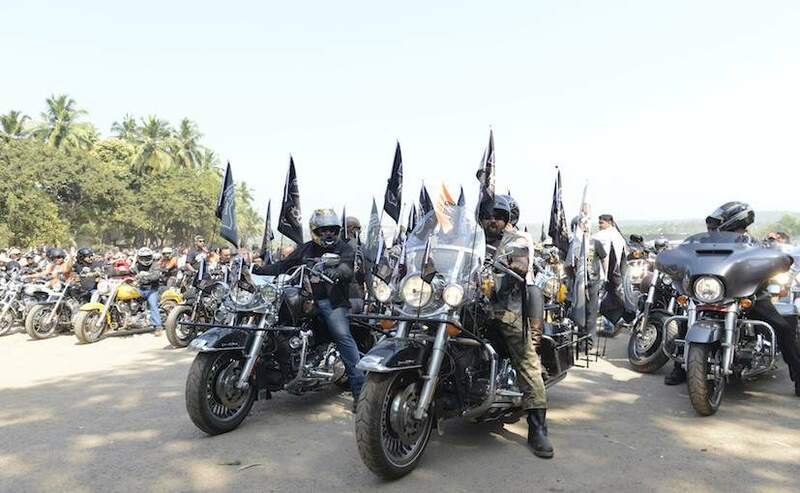 Tomorrow, on Republic Day 35 Harley Davidson Bikers would be riding on the roads of Mumbai for Ratna Nidhi Trust , to create awareness on disability.The ride would be ended with flag hoisting and distribution of prosthetic leg to physically challenged at our Jaipur Foot Center. Thank you. As a token of appreciation, you will receive a Thank you email from Ratna Nidhi Charitable trust. Thank you for your contribution. 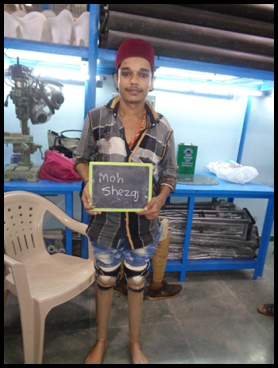 Your contribution will help us provide prosthetics/wheelchair for 1 person. 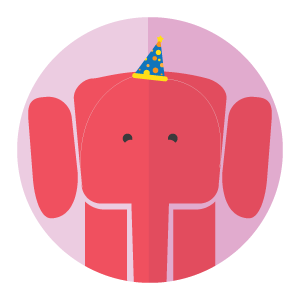 As a token of appreciation, you will receive a thank you email and a postcard from Ratna Nidhi Charitable Trust. Help provide prosthetics/wheelchair to 4 people. Thank you for your generosity. 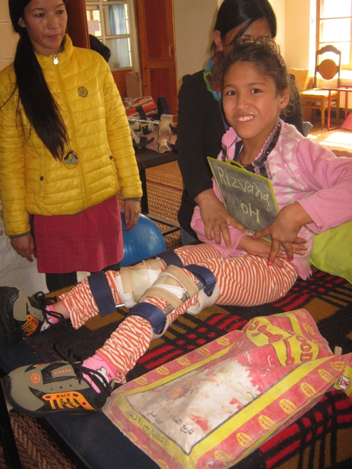 Your contribution will help us provide prosthetics/wheelchairs to 4 people. As a token of appreciation, you will recieve a poster, an email and a thank you call from Ratna Nidhi Charitable Trust. Help us provide prosthetics/wheelchairs to 8 people. Thank you for your contribution. 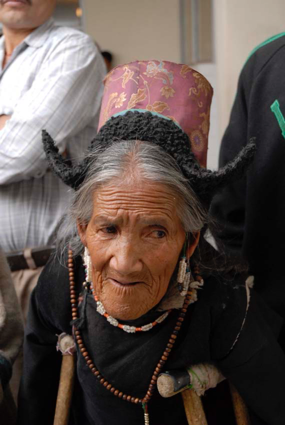 Your generosity will help us provide prosthetics/wheelchairs for 20 people. 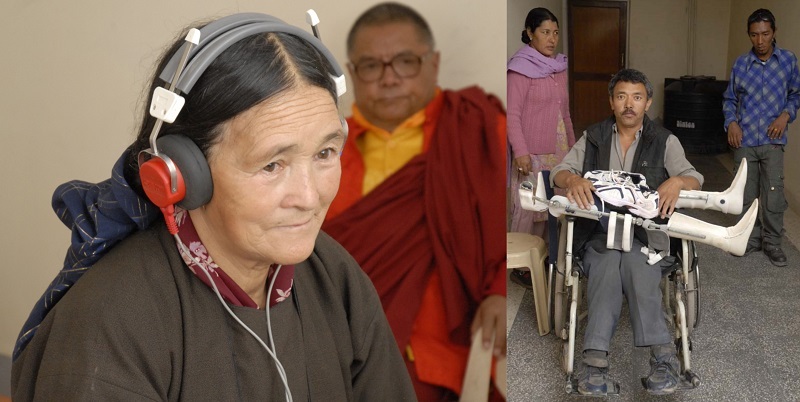 As a token of appreciation, you will receive a memorabilia from the monastery in Ladakh and a thank you call from one of the beneficiaries and also a thank you email from Ratna Nidhi Charitable trust. Help us provide prosthetics/wheelchairs to 40 people. Thank you for your generosity. Your contribution will help us provide prosthetics/wheelchairs to 40 people. As a token of appreciation, your name will be mentioned on the donors list at the Ratna Nidhi Charitable Trust. 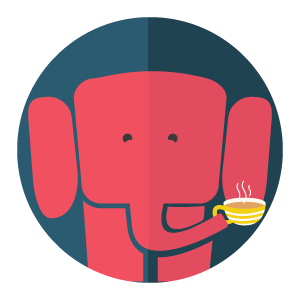 Also, you will receiive all the above mentioned rewards.